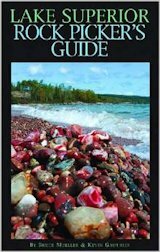 While the pages of the Travel Planner each contain a MAP button to plot regional mileage, some travelers may want to page through all the maps for a quick view of the mileage on various portions of the Lake Superior Circle Route. The directory below will allow you to do that. The regional maps open up in a separate window on top of this page. After viewing each page close its window and you’ll return automatically to this page. If you want to print out a given regional mileage map, positioning your cursor above the map and “right clicking” your mouse button will reveal a menu that allows you to print out the map. In some browsers this option may not be available but “copy image” will allow you to copy a version of the map image to your desktop and thus print it out from there. The maps generally plot out the most scenic routes – which are not necessarily the shortest. The maps are drawn to a reasonable amount of scale so you can do some “back of the envelope” interpolation of distances in the event you want to estimate mileage of a more direct route than those shown. 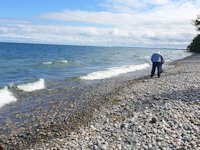 Mileage is absent for a few worthwhile side trips off the main Circle Tour Route, like to visit Whitefish Point or Black River Harbor. But again you can do some mileage estimates from other data on the maps.